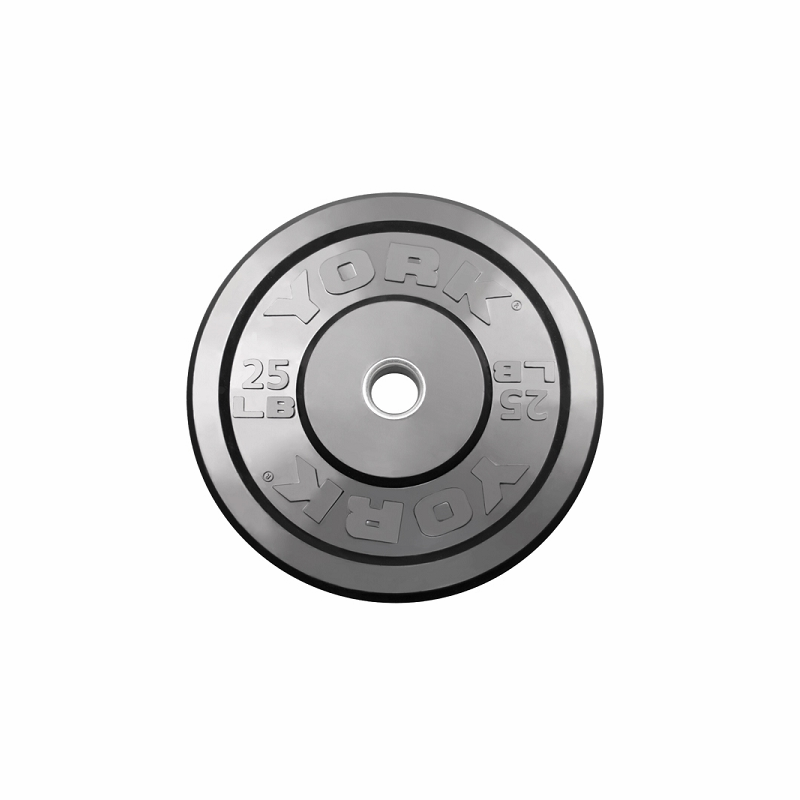 These Solid Rubber Training Bumper Plates provide flooring protection, have a reinforced 2" steel sleeve, and can be used with any Olympic bar. 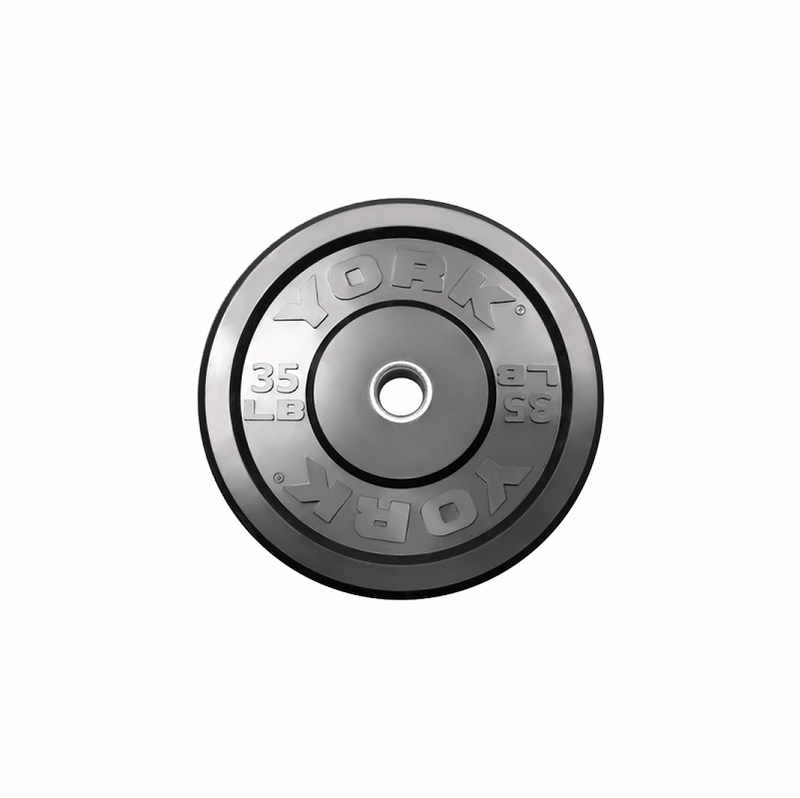 Quality manufactured for maximum durability. 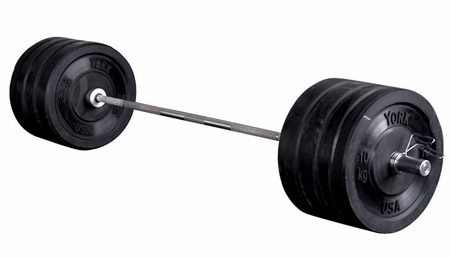 Excellent choice for Olympic-style lifting. 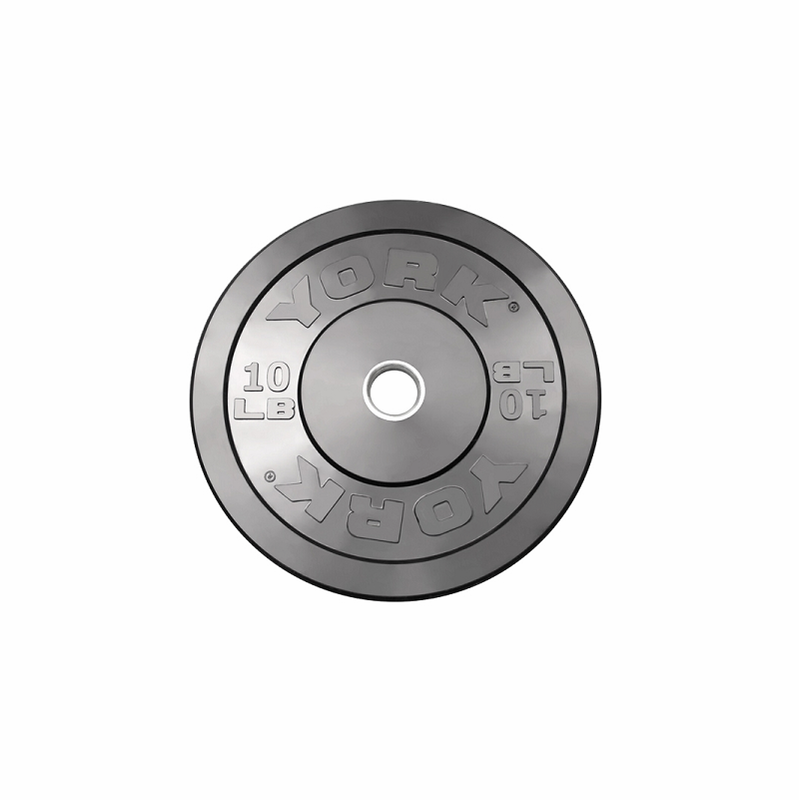 The YORK Power Bar is less flexible, more rigid, and has a tensile strength of 1500 lbs. 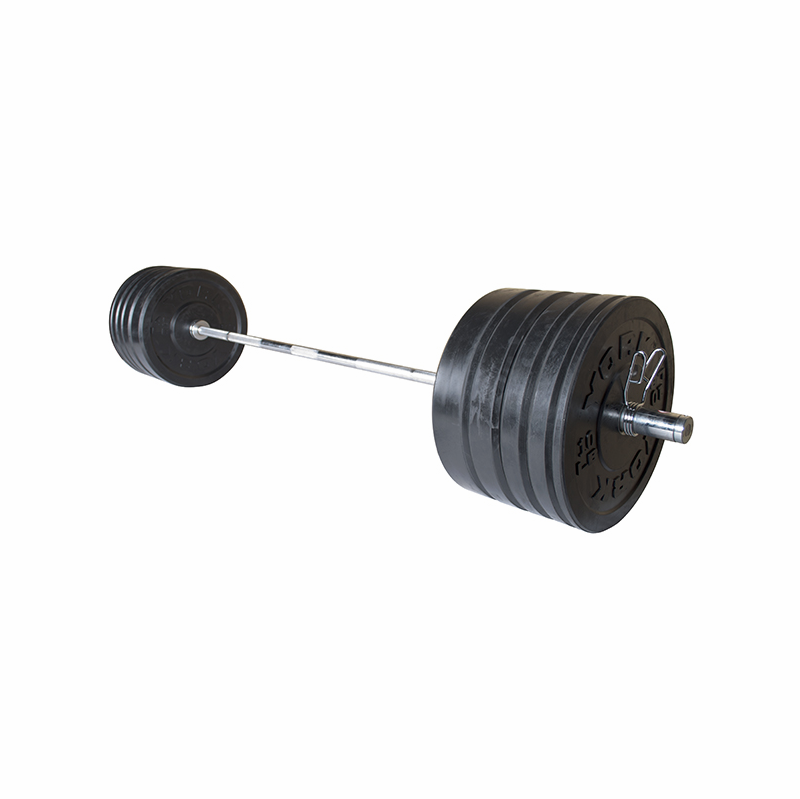 It is excellent for use when performing static, highly controlled, slow movements such as the squat, chest press and dead lift. 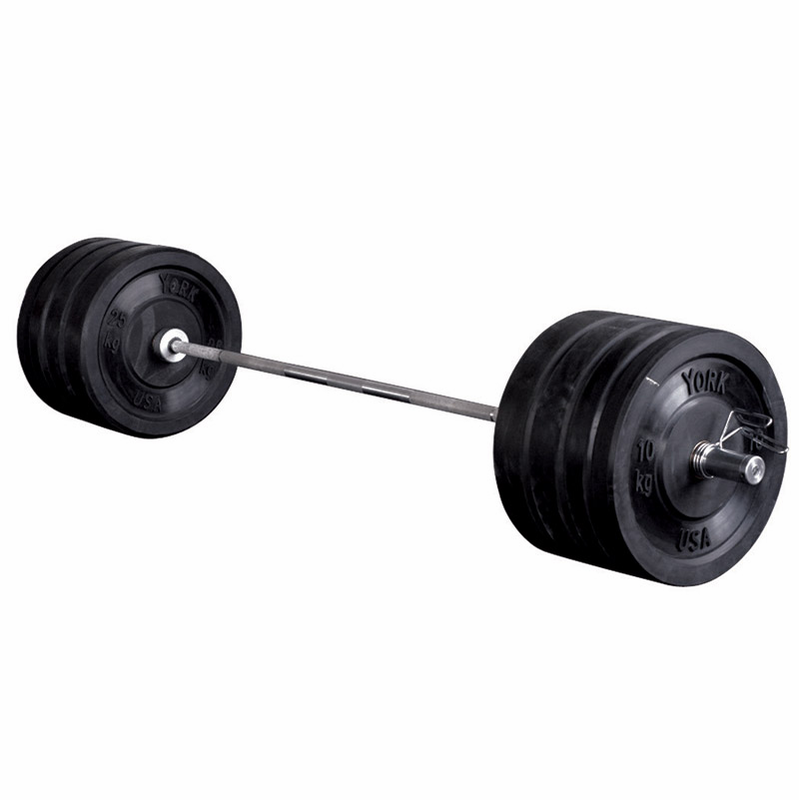 Sintered-ferous bushings impregnated with oil facilitate free and constant rotation of the bar without allowing for counter-rotation of the weights. 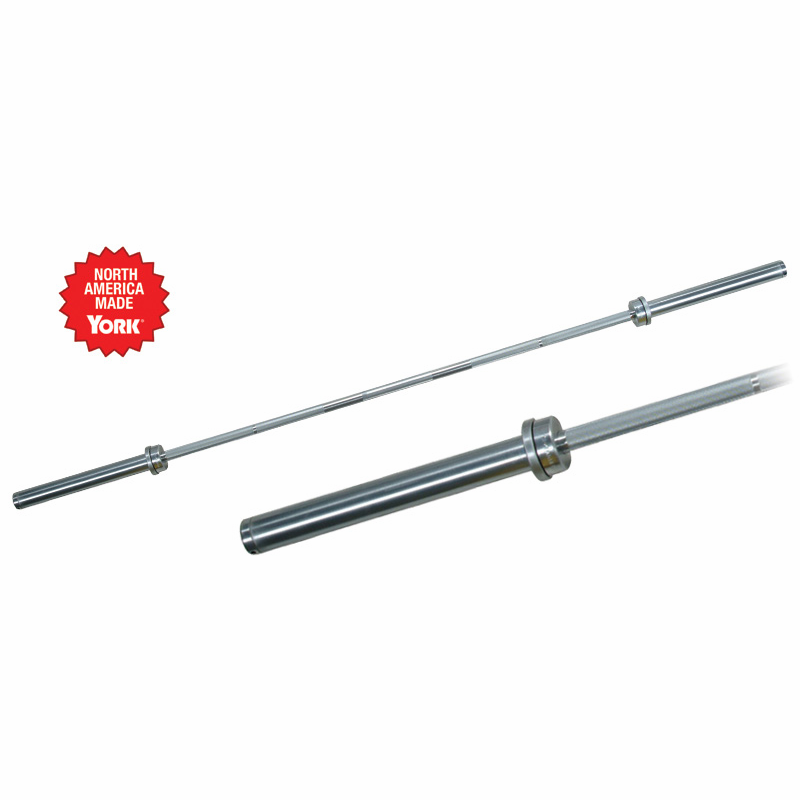 The bar ends are finished with a spring pin on a cold-finished, seamless tubing, securing the sleeve and making it virtually failure proof. 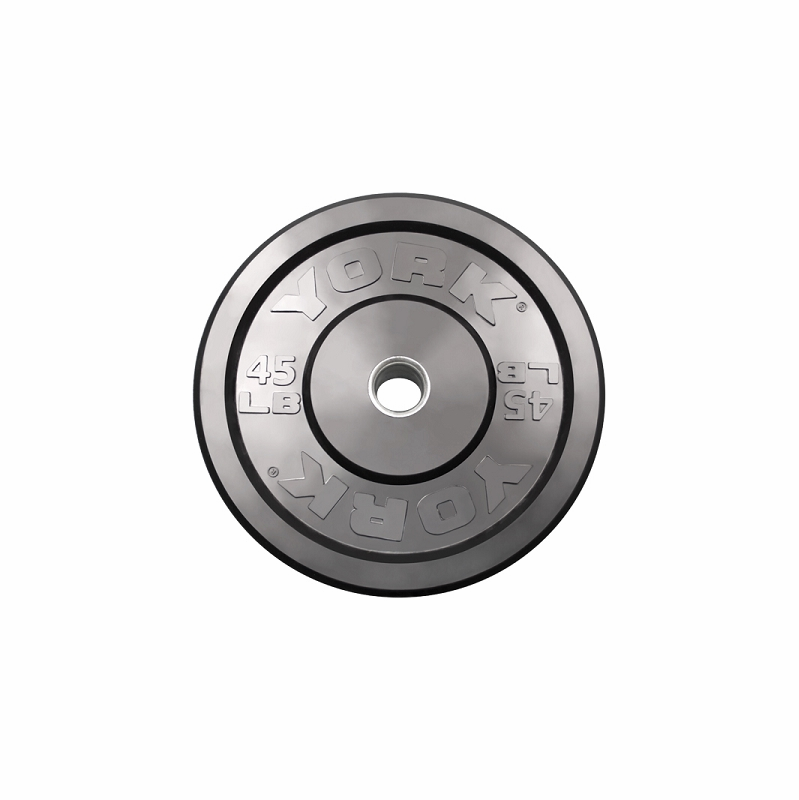 Sleeves are machine-finished to a precise 1.975 inch diameter accommodating for any 2" diameter Olympic plate.